Millennials. Are they lazy or the next great generation? Meet these five Real Property Management franchise owners before making up your mind. Millennials, also known as Generation Y, are the largest generation surpassing the Baby Boomers. But what defines a Millennial? What makes them tick? According to the U.S. Census Bureau, a Millennial is someone who was born between 1982-2000 making them between 16-34 years old. According to many Baby Boomers and Generation X, Millennials are lazy and self-entitled Bust statistics show that some of the most current and successful entrepreneurs are Millennials. We wanted to gain a little insight from Millennials who just so happen to be entrepreneurs and franchise owners within the Real Property Management family. Here’s what they had to say about being a Millennial franchise owner. 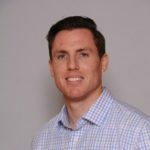 Rylan had already established two successful companies by age 26, and took his next entrepreneurial step in 2011, opening Real Property Management Bakersfield. Leveraging his record of success with his strong work ethic and high standards, Rylan has not only out-paced his industry peer group in growth, he’s also opened a second office, Real Property Management Porterville. Darus lives in Eureka, CA and enjoys mountain biking with friends beneath the towering redwoods and kiteboarding along the beautiful coastlines of northern California. He opened his Real Property Management Humboldt office in 2012. Prior to Property Management, he served as a Combat Engineer Sergeant in the United States Army, completed two deployments: Operation Noble Eagle and Operation Enduring Freedom, and was awarded an Army Commendation Medal while serving overseas with the Multinational Force and Observers organization in Sinai, Egypt. He serves on the Small Business Development Center Board of Directors and is an active supporter of entrepreneurship in his community. 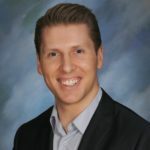 Ralph opened his franchise, Real Property Management Richmond Metro in Richmond, VA in 2014 at the age of 32 years old. He’s been married 5 years to his beautiful wife Taylor and has two young daughters, Hadley and Lilly. His growing family and the desire for a secure financial future is what led him to entrepreneurship and opening his franchise. 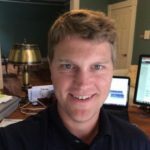 In less than 2 years he has grown to over 150 units under management and is excited about the future growth of his office and others in the Central Virginia region. Kyle graduated from California State University Long Beach with a bachelor’s degree in accounting. He worked at KPMG, a big four accounting firm, before opening his franchise in 2008, Real Property Management Coast in Huntington Beach, CA. and was only 27 years old at the time. Kyle is married and lives with his wife and 2 young daughters in Huntington Beach. What Was it About Owning Your Own Business that Was Appealing? Why Franchising? Rylan: I was self-employed as a financial advisor before I graduated from college and absolutely loved being my own boss. A couple of years after graduating, I decided to move home to be closer to family and accepted a full-time position as Rental Manager for Certified Auto Rental. I lasted eight months and decided that being employed and required to show up and be in the office from 8a.m. to 5p.m. was not the life for me. I am a risk taker at heart and like being in control (sometimes too much, ha), and this alone, made owning my own business very appealing. As an opportunist at heart, I had already established two successful companies by the time I was 26 years old and quickly found that the competitive landscape of local property management companies was weak. In 2011, I journeyed out to startup a property management company from the ground up and stumbled across Real Property Management while researching online. I realized that stepping into a franchise structure would allow me to leverage my time between companies more effectively and get started quicker than building out systems and processes from scratch. 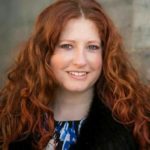 Darus: Owning my own business was appealing because it provided a vehicle for building a life with greater control over my financial success, how I invested my time, who I had working relationships with, and provided a big canvas for creative output. My mother owned her own veterinary shop when I was growing up and I saw how it delighted her to serve others and her community. She inspired me to build a business so that I could serve my community, serve others, and build an asset for my family’s future. I decided that purchasing a Franchise was the smart choice for me because I knew that it would help accelerate my success and avoid many of the pitfalls that cause businesses to fail. The franchise provided a strong foundation for operations so that my team and I could focus on growth. Kassandra: I was motivated by the freedom to control our future. Ralph: Wealth creation and the desire to build a valuable asset that could be passed down to my children or sold at retirement, that’s why I wanted to start my own business. I wanted to partner with a leader in the field and not waste time reinventing systems and processes – that’s what drew me to franchising and Real Property Management. Kyle: I found owning my own business appealing because I wasn’t motivated by working for others. In prior jobs, I didn’t mind working for a company, but I just didn’t feel motivated to do a good job and had trouble doing well in the work place. I was a mediocre employee. What are the Benefits of Owning a Franchise at a Young Age? Darus: I went directly from the Army to graduating from college to going into business. Owning a Franchise at a young age has been helpful because the Franchise and Franchisee network has helped fill in gaps in my knowledge base. Starting young is great because, just like compound interest, there is greater time for productive growth of the business. Kassandra: Guidance and advice from the more experienced franchisee network to help avoid mistakes. Ralph: As a young franchisee my personal overhead and monthly expenditures are reasonable. I was fortunate enough to be able to forgo a salary for 12 months without becoming a financial burden to my family. Kyle: Buying a franchise at a young age was a good for me (I was 27). I didn’t have any experience in this industry and it gave me the jump start to be profitable more quickly than if I had done it alone. Also, a business takes time to build, so I was able to spend a few years growing it and have been enjoying the profits while in my 30’s and building something for the future. Kassandra: Just having the unknown. Kyle: The disadvantage was the business model needed capital (as it should be), so I had to swallow my pride, scale down my expenses and move into my in-laws house while I built the company. In the end that was a good thing. Rylan: Growing up I wanted to be a lot of things. In high school, I was enrolled in a medical program with the nearby hospital because I was determined to become a cardiovascular thoracic surgeon. However, that eventually morphed into wanting to follow in my mother’s footsteps as an engineer and become a biomedical engineer. It wasn’t until my senior year in high school that I fell in love with finance and business in an economics class and haven’t looked back since. Kassandra: I knew I would be working on my own. That’s about all I knew. Darus: As a child, I would imagine myself opening a capsule door, hearing the swoosh of the air chamber equalizing, and then taking the first steps on Martian soil as an Astronaut. I decided to take a different route and let SpaceX and others blaze the trail to other worlds. For now, I’ll do my small part to keep the Earth well managed. Kyle: As a kid, I wanted to work for the FBI or US Customs service, but then in college, I realized how expensive life was and got a degree in accounting and decided to be a CPA. How Has Starting Your Own Business at Such a Young Age Affected You? Rylan: If anything, it has allowed me to take on more risk because I know that if everything were to fall to pieces tomorrow, I still have plenty of time ahead of me to get up, brush myself off, and start over on the next venture. And, I am not afraid to do so. Darus: I believe starting a business, at any age, begins with enthusiasm and then each person inevitably hits a level of complexity, or challenge that knocks them down. It is these moments that have shaped me. I’ve gone through many challenges during this journey and I’m glad I did. Choosing to face the challenges has made me stronger and given me greater empathy and respect for those who endure uncomfortable experiences, but keep fighting through. The obstacles have taught me priceless lessons in empathy, persistence, respect, humility, and courage that give true depth to the power of those values. Kassandra: I feel like I had more energy than others in the business. Ralph: It’s been great – my starting salary was $40k out of school. Our office did over $40k in revenue last month so no regrets. It Takes Courage to Start Your Own Business at a Young Age. What Advice do You Have for Those in Their 20s and Early 30s? Rylan: I highly recommend learning from others, having a business coach or mentor, but most importantly, it starts with believing in yourself. The vast majority of people have dreams and aspirations, and the only thing keeping them from becoming reality, is fear. The fear of taking that leap of faith, the fear of failure, and the fear of the unknown can become paralyzing. Accepting that it is okay to fail, and as a millennial, that the time horizon to try again is an advantage really helped me to build up the courage to start my own business. Darus: Don’t drift. Your time is precious. You only have so many years to do this. Figure out what you want and go after it like your life depends on it….because your life does depend on the choices you make now. Ask for advice, but make your own decisions. Focus on your Freedom and be like an arrow shot from a bow. One target. One Aim. Get Free. Kassandra: You won’t know it all, always ask. Ralph: It takes courage at any age – my advice would be to make a decision and don’t look back. You can easily over analyze things and become paralyzed to the point of inaction. Also, I would tell any new franchisee to relax, be patient, and trust the process – everything takes longer than you think it will and everything costs more money than you budgeted for, but in the end, if you trust the process and the systems you will be rewarded. Kyle: It takes some courage to start a business, I left a really good job to do this and so I think it gave me the attitude that I would not fail. Also, I entered a low risk business, so it wasn’t a matter of failing, just how long could I survive until I built up the business to make enough money to survive. If you want to start a business, go all in and find a way to make it work. The business may evolve, but you can figure it out if all your energy goes to it. Some Say “Millennials are Lazy and/or Entitled”? How do You Respond to This? Rylan: I am very thankful that the values of hard work were instilled in me by both my parents at a very young age. Unfortunately, I find this to be more often true than not. From an employer standpoint, the majority of millennial hires lack commitment to core values, want limited responsibility and a relaxed workload, but want a paid vacation, holidays, and other benefits in return. I see it as an opportunity to course correct through training, and leading by example. in hopes of increasing the longevity of their employment and setting them apart for the millennial status quo. Darus: We are on the cusp of transformational technological, economic, and social changes. Regardless of how they may be seen now, I believe that the future will see the “Millennials” to be a generation to be revered. It’s a generation that will have endured and overcome potentially catastrophic environmental challenges, massively disruptive technologies, financial market crashes, social crises, and great economic upheaval. I expect this generation will play a key part in rebuilding our world into a more connected, just, and empathetic home for us all. Kassandra: No, we are calculated risk takers and saw others make mistakes. We are taking longer to make a choice. We don’t have a problem jumping onto a risk when good facts are in front of us. Ralph: In my humble opinion, it seems every generation looks upon the next with an air of disdain or judgement. I think it’s silly – I know a lot of Boomers that are lazy, entitled, and I also know a lot of 20- somethings that could be painted with the same brush. At the end of the day, personal character, drive, and ambition will help any Millennial overcome these negative perceptions.